Auto dealerships need to offer a more user-friendly experience if they hope to keep buyers coming back for maintenance, according to the second phase of Cox Automotive’s 2018 Service Industry Study. Automotive dealerships may be leading their competitors in share of service visits, but an estimated 70 percent of consumers who purchased or leased vehicles from dealers did not return for service in the past year, according to the second phase of Cox Automotive’s 2018 Service Industry Study. The percentage equates to about $266 billion in annual lost revenue across all franchise dealers. The study surveyed about 3,550 consumers and 404 franchise dealership employees. Cox Automotive is a subsidiary of Georgia’s Cox Enterprises Inc.
More than half of consumers reported they would be willing to travel farther and pay more for an enhanced service experience. The study reports dealerships that want to grow share in customer-pay service need to adopt more offerings and technologies such as online bill pay, minimal-click scheduling via mobile devices, and ride-share or valet services. Enable ease of maintenance – Many consumers want dealer websites to be their primary touchpoint for maintenance – 67 percent want to be able to track service history on the dealer website. About 62 percent want recall updates and service reminders with links back to the website for scheduling and other online tools, and the same percentage want to view OEM maintenance recommendations via dealer websites. Provide price transparency – About 70 percent of consumers want to view price ranges for various services on the dealer site, while 55 percent would choose one dealership for service over another if it provided online estimates of costs during the scheduling process. Offer online services – Consumers want steps in the service process to be available online. About 56 percent of participants reported they would choose one dealership for service over another if they could schedule appointments online. However, many consumers don’t know online scheduling is an option. Among those who don’t make appointments online, only 35 percent are aware it’s an option. Decrease distance – Location is a top reason consumers do not return to the dealership of purchase for service. The most successful dealerships will embrace mobility solutions for their customers. About two in five consumers are interested in service mobility concepts, such as valet and mobile service providers. 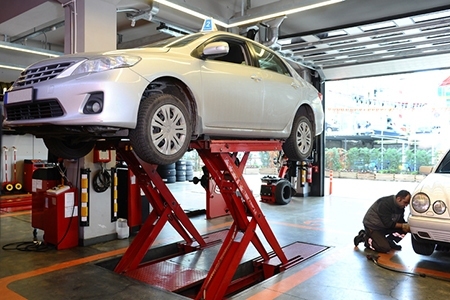 Service valuation analysis – Consumers want to know the return on investment on their service dollars – two in five want to understand the relationship between services needed and vehicle value, while one in three are interested in getting a trade-in value during the service experience. The complete second phase of the study is available here. The first phase is available here.